A troop of alien squeeze-toys played an important role in Buzz and Woody's adventure. 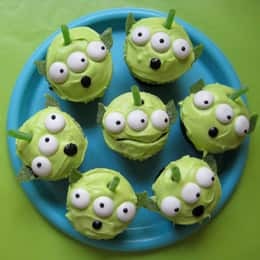 It's a piece of cake to invite these little green monsters to your Toy Story-themed movie night. 1. 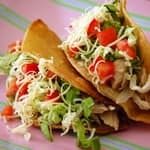 First, mix up a batch of alien green icing by adding few drops of neon green food coloring to your favorite white icing. 2. Prepare your aliens' ears. Cut ears, shaped like teardrops, from green apple belts. A pair of kitchen shears works well, or use a small leaf shaped fondant cutter. You will need 2 ears for each cupcake. 3. 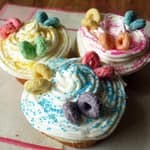 Frost cupcakes and insert a 2" sour straw antenna. Press your ears into the sides of the cupcake. 4. Line up three mint-flavored, chewable candies as eyes, and dot with black gel icing for pupils. 5. Give your aliens an awed expression by drawing on a circle for a mouth with black gel icing.